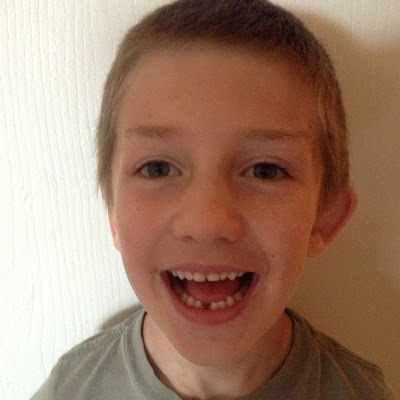 Recently, my son lost his first tooth. If you have kids you know what a big deal this can be! It was an especially big deal in our house because most of my son’s friends had already lost a tooth. He was definitely feeling left out and like he was the only one not to lose one yet! 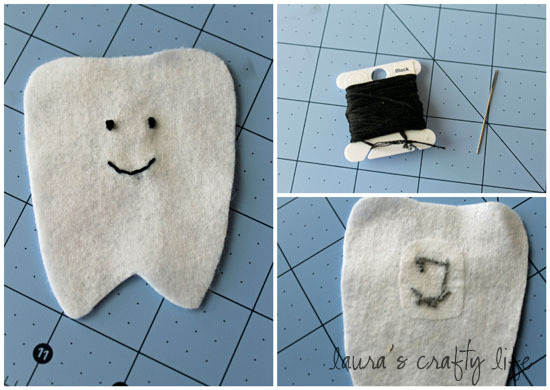 I wanted to be sure to create a really special memory for him, plus I wanted a way for the “tooth fairy” to easily be able to get his tooth as well as leave him a special treat! 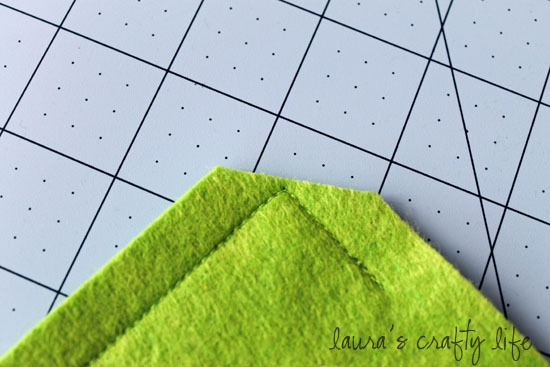 Cut two squares of felt in the color of your choice. I made mine 6 inches wide allowing for a half inch seam allowance on each side. 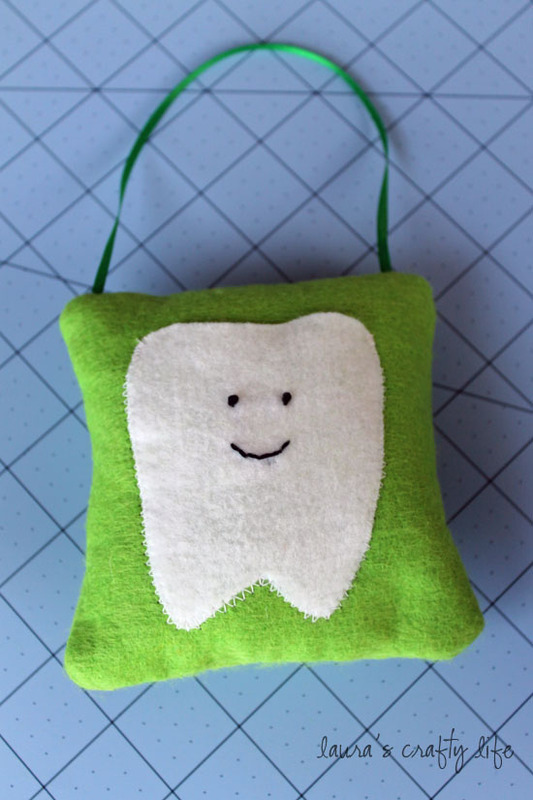 I found a tooth image off of Google images. 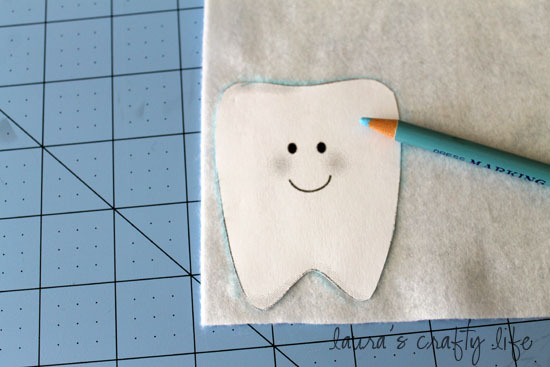 You can do a search for ‘tooth clip art’ or ‘tooth coloring page’ to find a lot of great images to print out. I printed it on regular copy paper, cut it out and traced it onto my white felt. It is hard to see, but I drew on the face features from my image so I could stitch it using embroidery thread. I stitched the eyes on using french knots and the smile using a back stitch. After I finished my stitching I used a small piece of fusible webbing over the stitches to cover them up. Since we would be sliding teeth and money in and out of the pillow I didn’t want the stitches to come loose or have anything get caught on them. This step is optional though. Follow manufacturers instructions on how to use your fusible webbing. 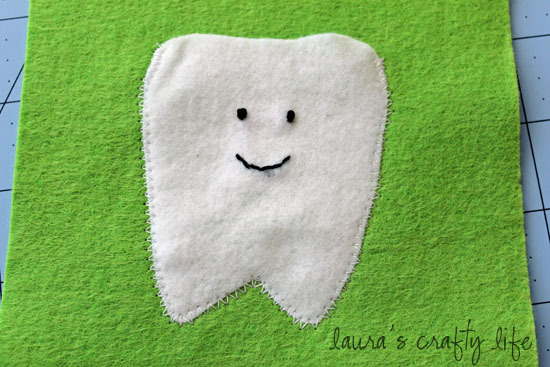 Attach your tooth shape to one piece of your pre-cut felt. I used a zig zag stitch on my sewing machine to attach it. You could also attach this by hand if you didn’t want to use your machine. 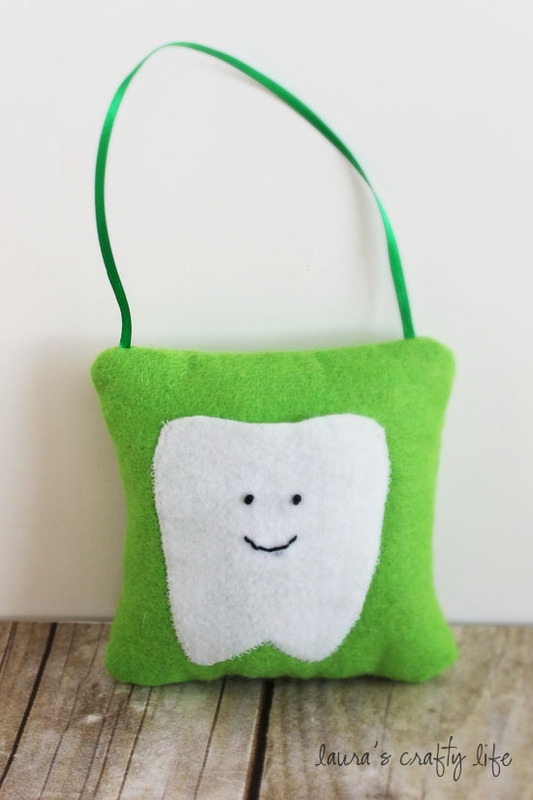 Leave an opening at the top of the tooth shape to slide your tooth and/or money in. 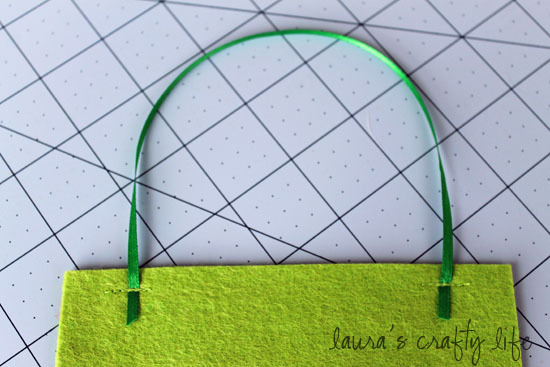 Attach ribbon to the top of your square felt piece to create a hanger. (This is where my sewing skills (or lack there of) came up. 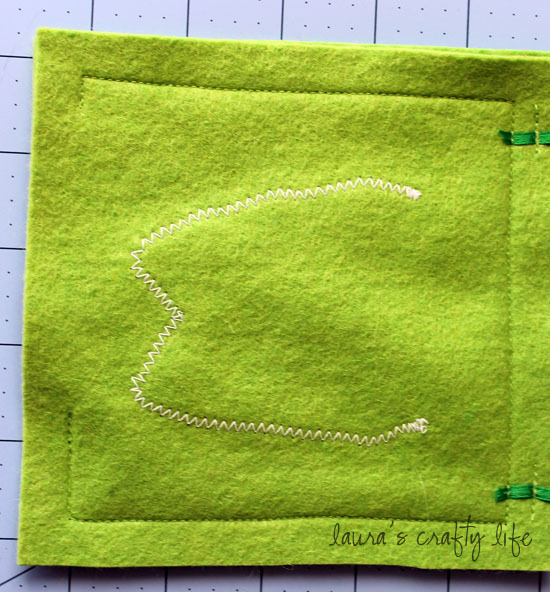 You really want to sew this piece with the loop facing down towards the right side of your pillow. If you sew it like I did, be sure to tuck the ribbon down into the pillow before stitching. I made the mistake of sewing my pillow together with the ribbon how it is, and once it is sewn this way, the ribbon ends up on the inside of the pillow rather than the outside! I had to take out my stitches at the top of the pillow and re-stitch them after tucking in the ribbon. With right sides together (and your ribbon facing into the inside part of the pillow), pin and then stitch around the edges of the pillow. Leave an opening to turn your pillow right side out! 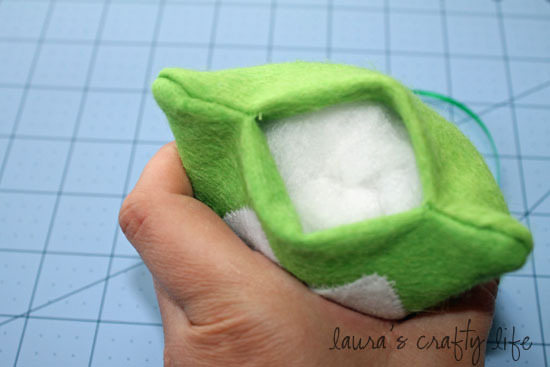 Before turning your pillow right side out, clip the corners. This will allow for neater corners. Be careful not to cut your stitches when doing this. 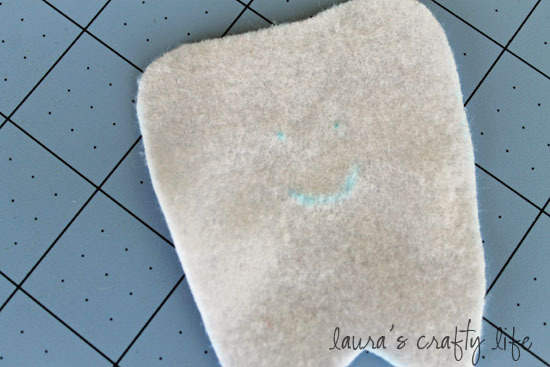 Turn your pillow right side out and stuff with fiberfill or your stuffing of choice. Stitch the bottom closed. 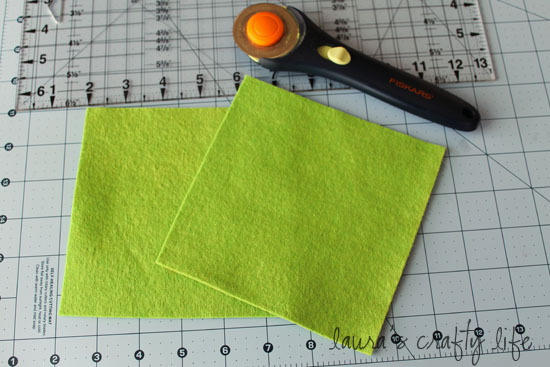 You can do this by hand or with your sewing machine. I used my needle and thread and did a blind stitch. 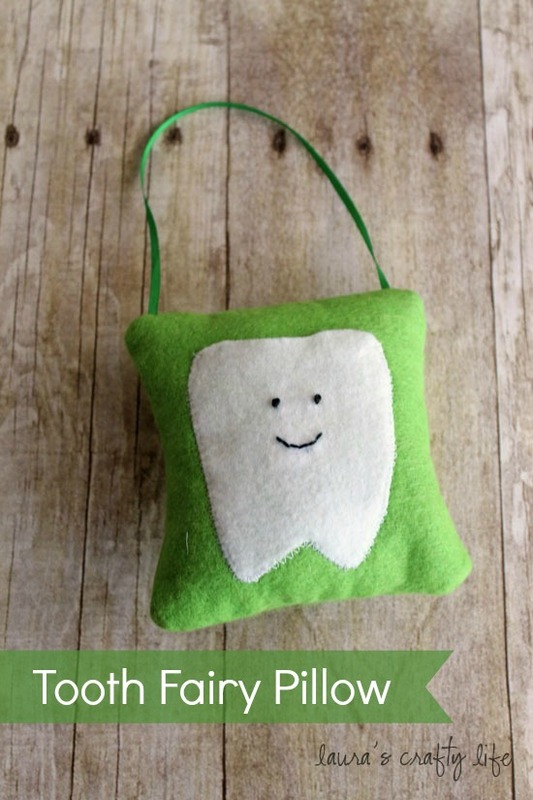 Hang it near your child’s bed or on the door for the tooth fairy to find. 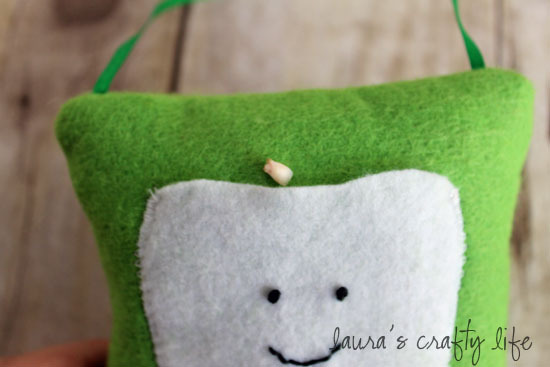 Do you do anything special when the tooth fairy comes?